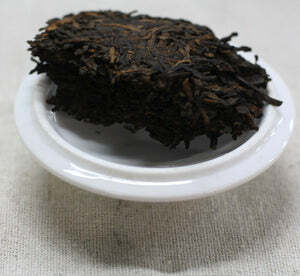 This tea is exceptionally smooth and should be treated as a fine wine, to be savored slowly or aged for more years. 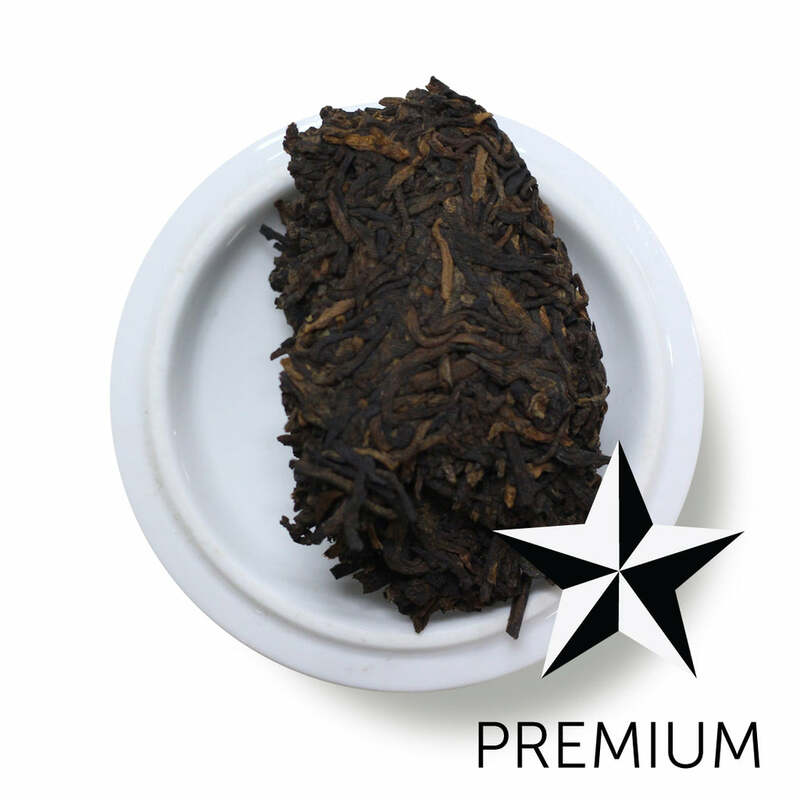 What struck us most about this tea is the care in production coming through in the steep. It's produced by a small family, a two-person, husband and wife team. Their family pitches in to pluck leaves, even their youngest family members help out. They carefully pick leaves from their tea trees, some are 100 years old. 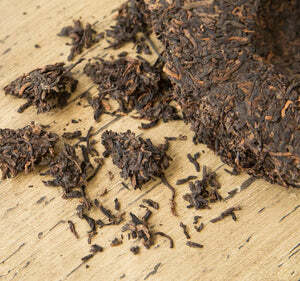 They hand-roll the tea leaves to get the enzymes working, and to start the process of fermentation. Then, the tea leaves are withered in the sun - a step that most larger tea factories cannot reproduce. 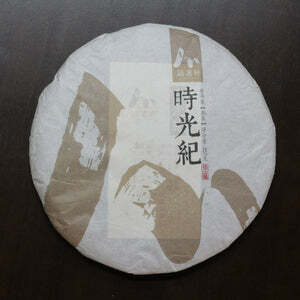 Wet tea leaves are then pressed into a traditional beeng cha cake shape, leaving an indentation in the center where the top knot is pressed into the cake. These cakes are then ready for aging and storing. We found the taste to be incredibly rich with nuance, leather, earth, and a touch of chocolate. You'll find this sip to be smoother than most ripe pu'erhs out there. Mug (8oz water): not recommended. Teapot: (8oz water): approximately 2 tsp • 205º. Rinse a chunk of tea with hot water for 4 seconds. Steep for 30 seconds to 1 minute depending on your preference. Resteep: For lighter cups, steep 30 sec. 4 times, and then 1 minute twice. For darker cups, steep 1 min twice, 2 min, then 3 min. Sprinkle in 2 teaspoons (approx. 6) Chrysanthemum buds in the later steepings.